Alright we’re down to the top 3 forwards on our team. We’ve revealed our head coach, our goaltenders, our defensive pairings, and our 2nd, 3rd, and 4th lines. We’ve also revealed our captain and 2 assistant captains thus far. All that’s left is just our top line and today we’ll start with the right winger. But first, I’ll recap the team really quick. Alright, today let’s look our top line, a line that could light up the goal lamp like a strobe light. 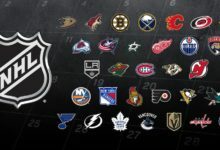 Meet…1971-1972 Bobby Hull – 1985-1986 Wayne Gretzky – 1990-1991 Brett Hull. First, a little bit about Brett Hull. Brett is a 5’11” 203 lb right handed right winger from Belleville, Ontario. Hull played 20 seasons in the NHL for the Calgary Flames, St. Louis Blues, Dallas Stars, Detroit Red Wings, and Phoenix Coyotes. In that time, Hull appeared in 1,269 games, scoring 741 goals, 650 assists, and 1,391 points. Hull played for 2 Stanley Cup Championship teams, in 1999 for the Dallas Stars, and in 2002 for the Detroit Red Wings. Individually, Hull appeared in 8 NHL All-Star games, and won the Lady Byng (1989-1990), the Ted Lindsay Award (1990-1991), and the Hart Trophy (1990-1991). As for his playing style, Hull was widely regarded as one of the purest snipers in the history of the game. His slapshot was legendary, similar to his father Bobby’s. 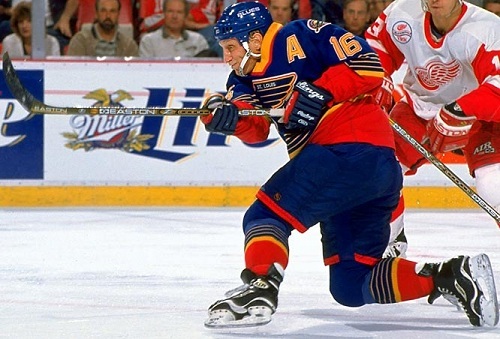 He was known best for his time in St. Louis spent with centerman Adam Oates, who often put Brett in the perfect position to score with his passes. The 1990-1991 season for Brett Hull was a legendary season. Hull scored 86 goals and 45 assists for a career high 131 points. The 86 goals in a single season is the 2nd highest total in NHL history behind only Wayne Gretzky’s 92. Hull was so good at finding the open areas and centerman Adam Oates would always find him. They were affectionately known as “Hull and Oates”. They were just so good. This 86 goal season was one of the greatest displays of goal scoring in the history of the game. Hull had 26 multi-goal games that season, including 4 hat tricks. The longest Hull went without a goal that season was 2 games, which happened just twice that year. He just knew how to get into scoring position on the ice. Early in his career, Hull was chastised for his weight and his choppy skating, but by 1990-1991, Hull was in fantastic shape and had dramatically improved his skating ability, which allowed him to become such a prolific goal scorer. Hull was also a lethal threat on the powerplay, scoring 29 powerplay goals that year, tops in the NHL. His one-timer from the left faceoff dot or high slot is one of the greatest shots in the history of hockey. A little bit about Wayne. 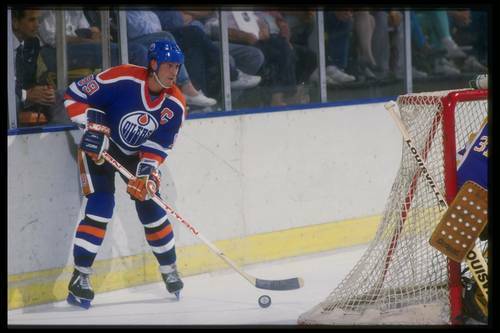 Gretzky is a 6’0″ 185 lb left-handed centerman from Brantford, Ontario. Gretzky played 20 seasons in the NHL for the Edmonton Oilers, Los Angeles Kings, St. Louis Blues, and New York Rangers. In that time, Gretzky appeared in 1,487 games, scoring 894 goals, 1,963 assists, and 2,857 points. Gretzky appeared on 4 Stanley Cup Championship teams, all with the Edmonton Oilers in the late 1980’s. Individually, Gretzky won just about every award in the book. He won the Hart Trophy as the league’s MVP 9 times, including 8 consecutive. He won the Art Ross trophy as hockey’s scoring champion 10 times. He won the Ted Lindsay award for being the most outstanding player per the players’ vote 5 times. He won the Lady Byng as the league’s most gentlemanly player 5 times. He won the Rocket Richard as the league’s top goal scorer 5 times. He appeared in 18 consecutive All Star games. Bored yet with his accomplishments? I can continue? When he retired in 1999, Gretzky’s #99 jersey was retired league-wide, the only player to ever receive this honor. When he retired in 1999, Gretzky owned 40 regular season records, 15 playoff records, and 6 All-Star records. I don’t have enough space here to enumerate all of them, but I think you got the picture – Gretzky was pretty good. 1987: Center Wayne Gretzky of the Edmonton Oilers looks on during a game against the Los Angeles Kings at the Forum in Inglewood, California. The 1985-1986 season from Gretzky was the greatest playmaking season in the history of the NHL. Gretzky scored 52 goals (which actually wasn’t that impressive from him), but recorded an NHL record 163 assists. The reason that this season is so impressive is that a lot of Gretzky’s points came at even strength as he was on the ice for just 69 powerplay goals that season. He absolutely dominated even strength play. Gretzky was on the ice for about 23 minutes a night that year and when he was on the ice, his team scored 260 goals. That’s an average of 8.48 goals per 60 minutes. Are you kidding me? Gretzky averaged 2 assists a game, or about an assist every 11 minutes. These kind of numbers are unparalleled in NHL history. He was simply far and away ahead of his peers. Many felt that Gretzky had a 6th sense when it came to passing. He himself said that he often anticipated where his teammate was going to be instead of actually looking. More often than not, he was right. He also had an uncanny ability to disrupt what everybody thought was going to happen. Just when you thought Gretzky was going to shoot, he would side-step and find a teammate open on the other side of the ice. These skills he put to such great use in that magnificent 1985-1986 season. A little bit about Bobby Hull. Bobby is a 5’10” 195 lb left-handed left winger from Point Anne, Ontario. Bobby played 16 seasons in the NHL for the Chicago Black Hawks, the Winnipeg Jets, and the Hartford Whalers. In that time, Bobby appeared in 1,063 games, scoring 610 goals, 560 assists, and 1,170 points. Hull was a member of 1 Stanley Cup championship team, in 1961 for the Chicago Black Hawks. Individually, Bobby Hull accomplished a lot. Bobby appeared in 12 All-Star games, and won the Art Ross three times, the Hart Trophy twice, and the Lady Byng once. Even more impressively, Hull led the league in goals scored in 7 of his first 12 seasons in the NHL. Bobby Hull also appeared in the WHA for 7 seasons, playing in 411 games. He scored an incredible 303 goals and 335 assists in those 411 games. As for his playing style, Bobby was known for his legendary slapshot, his strong skating, and his toughness. The slapshot in particular is something of folk legend. There is a story going around that Bobby’s slapshot was once clocked at 120 mph. Imagine trying to stop that shot. There is also a story from Time magazine in 1968, saying that Hull could skate at top speeds of 29.7 mph. That’s incredibly fast for a hockey player when you think about it. So imagine Bobby Hull coming down the wing with that speed, and then unleashing that slapshot. Nearly unstoppable. 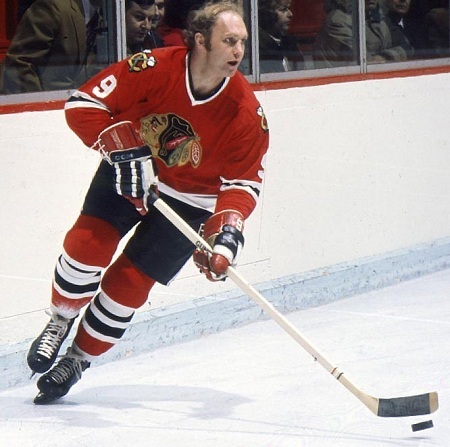 Blessed with blazing speed, power, a booming slap shot, and a head of golden blonde hair, Hull joined the Chicago Blackhawks in 1957 at age 17. 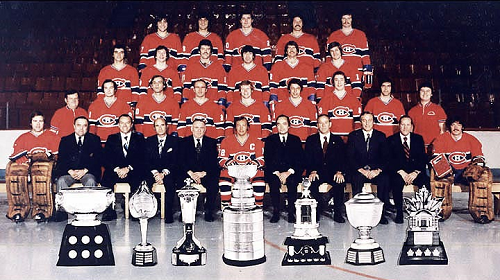 He went on to score 50 or more goals for them five times during the next 13 seasons, winning the Stanley Cup in 1961. Fittingly, Hull later played for the Winnipeg Jets of the rival WHA. The 1971-1972 version of Bobby Hull was Hull at his most unstoppable. 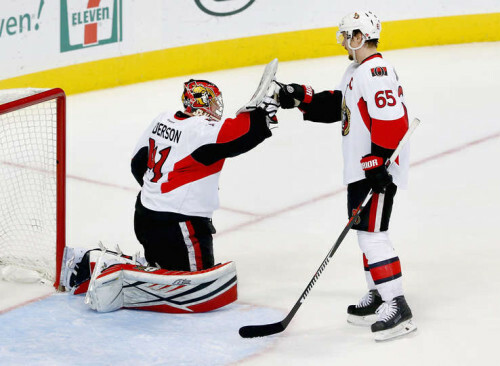 Hull scored 50 goals and 43 assists that year, the 5th time he had scored 50 goals in an NHL season. Many of you may wonder why this version of Hull was selected. This wasn’t the highest goal scoring version of Bobby – that happened in 1968-1969 when he scored 58 goals and 107 points. This wasn’t Bobby at his MVP best – that was in 1964-1965 anad 1965-1966. But in 1971-1972, Bobby Hull had his best overall season. Bobby finally began to use his speed to negate goals and play better defense. In that 1968-1969 season where he scored 58 goals and 107 points, Bobby finished a -7. That’s hard to fathom for a guy that was putting up so many points. However, in 1971-1972, Hull still scored 50 goals and 93 points, but this time he was an astounding +54, the only time in his career that Bobby finished in the top 10 in +/-. He was on the ice for just 47 goals, despite playing more than 20 minutes a night. If you were to hypothesize that Hull could play a full 60 minutes, Hull’s team would score 4.85 goals a game while giving up just 1.81 goals a game. He was finally at his overall best. The way this line would work is pretty simple. Imagine that you have two of the greatest eaters in the world, just waiting to be fed. Then, imagine that you have the greatest chef in the world. That’s what it would be like having Wayne Gretzky feeding Brett Hull and Bobby Hull the puck. Bobby and Brett were two of the greatest snipers in NHL history. Brett’s one-timer is a thing of legend. 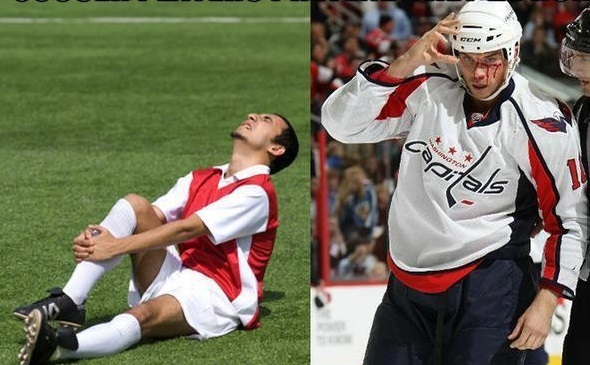 Bobby’s skating and slapshot are also part of folklore. This line would be so beautiful to watch. I can just imagine Gretzky bringing the puck up the ice with the Golden Jet flying down the left wing and the Golden Brett coming down the right. I can then imagine Gretzky moving towards the half-boards, allowing either Bobby or Brett to cross behind him and enter the slot. The one-timer is there, and boom, its 1-0 very quickly. Or if my team has an extended possession in the offensive zone, I’d expect Gretzky to set up in his office behind the net and let both Brett and Bobby take turns cutting to the front of the net for easy tap-ins. If Gretzky didn’t have at least 200 assists over an 82 game season, I would be disappointed. Not kidding. That’s how many goals this line should be able to produce. Gretzky – Serve as the centerman on the top powerplay unit. He was simply the best on the powerplay, as the greatest passer in NHL history now had time and space. Can you imagine Gretzky feeding the puck to Al MacInnis sneaking in from the blue line? Who the hell wants to block that shot? Brett – Serve as the left-winger on the top powerplay unit. Brett’s one-timer from the off-wing is one of the greatest shots in NHL history. Now he gets it fed to him from Gretzky, or Lidstrom. There you have it. That’s our NHL Dream Team that will matchup against the Aliens in a 7 game series for galactic supremacy. I have everything you want on this team and more. I’ve got goal scoring (Bobby Hull, Brett Hull, Mario Lemieux, Mike Bossy, Luc Robitaille). I’ve got play-making (Doug Harvey, Nicklas Lidstrom, Mario Lemieux, Wayne Gretzky). I’ve got great two-way players (Bryan Trottier, Bob Gainey, Steve Yzerman). I’ve got hitting (Lanny McDonald, Bob Gainey, Cam Neely, Eddie Shore). I’ve got speed on the wings in Dickie Moore, Bobby Hull, and Cam Neely. On the back-end I’ve got great offensive defensemen in Orr, Lidstrom, Bourque, and Harvey, but I they are all very responsible in their own zone. I’ve got superb, experienced goaltending in Patrick Roy and Dominik Hasek. I’ve got all the situational players too. I’ve got the right handed defenseman for the powerplay in Al MacInnis. I have 4 centerman, two right-handed, two left-handed. Depending on where the faceoff was and where I wanted to win it back, I could throw either of those guys out there. I’ve got a coach that is adept at managing egos in Scotty Bowman. I have a captain that is widely regarded as one of the greatest captains in Steve Yzerman. This team is loaded with guys that are team-first, not me-first, and that’s why I think these 20 players are Earth’s best chance at defeating the Aliens. Think you can create a better team? 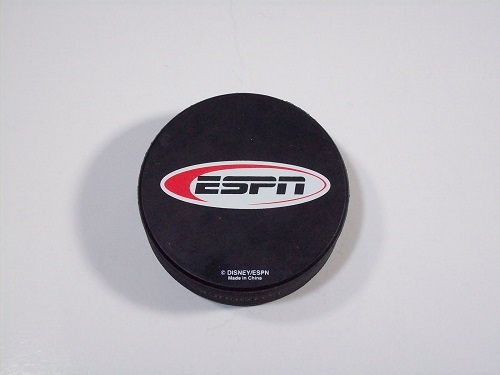 Show us by sending your teams in to me at piyer@ad.unc.edu or by posting them on the Hooked on Hockey facebook page! Thanks again for following along, and just a reminder that tomorrow we’ll run an article illustrating some of the notable omissions and why they were left out.